12 Angry Men begins in a courthouse where an eighteen year old boy from a bad neighborhood is on trial for allegedly stabbing his father to death. After the closing arguments, the jury goes into deliberation. All of the jurors seem to be on the same page: they have decided the boy is guilty. With the exception of juror 8 (Henry Fonda), who argues that he cannot in good conscience vote ‘guilty’ when he feels there is reasonable doubt of the boy’s guilt. This results in a tense afternoon in a sweltering room, where an important decision has to be made…. 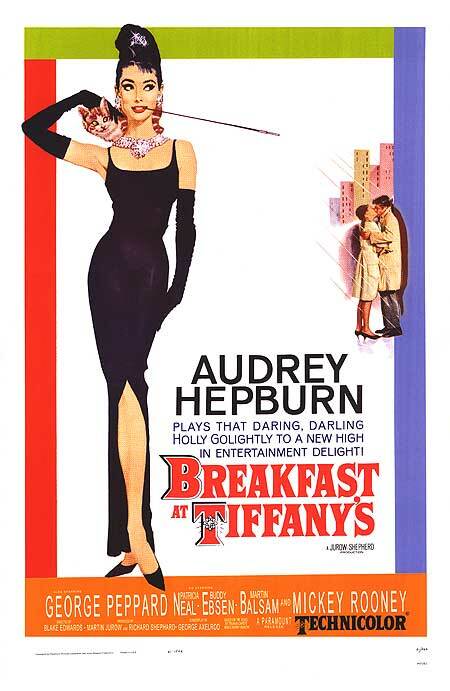 – Reginald Rose’s screenplay was initially produced for television and was broadcast in September 1954. The success of the production resulted in a film adaption. A complete kinescope of the television performance was missing for years, until it was discovered again in 2003. -For the director, Sidney Lumet, it was his first feature film. 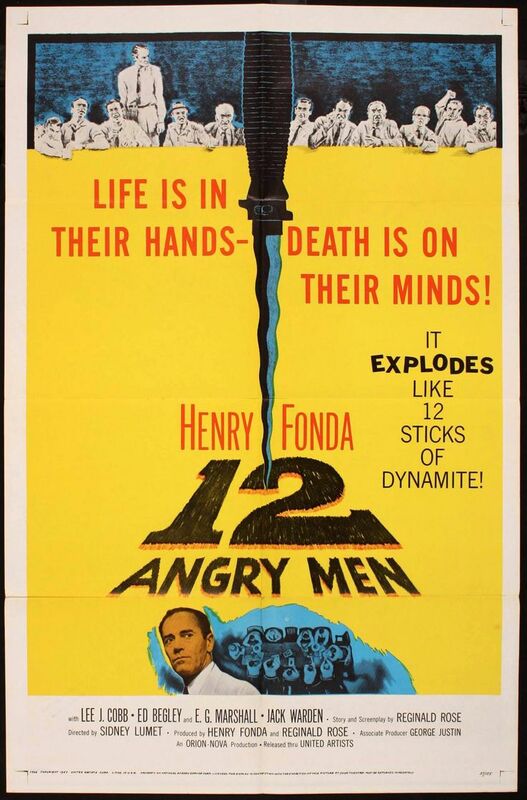 For actor Henry Fonda 12 Angry Men was the first film he ever produced. He was so frustrated by it, that he never produced anything ever again. – 12 Angry Men was shot in the short span of 21 days and on a tight budget of 34.000 dollars. – Sidney Lumet had all the actors stay in the same room for hours and do their lines over and over again. This was to give them a real taste of what it would be like to be cooped up in a room with the same people. – The ethnic background of the teenage suspect in the film was deliberately left unstated. It was only emphasized that he was not Caucasian and that prejudice played a part in the deliberations process. – As shooting of the film went on, director Sidney Lumet gradually changed to lenses of longer focal lengths, so that the background seemed to close in on the characters, creating a greater feeling of claustrophobia. -As the film failed to make a profit, Henry Fonda never received his deferred salary. – 12 Angry Men was nominated for three Oscars but lost them all to The Bridge on the River Kwai. Ironically, 12 Angry Men would go on to achieve a far more iconic status than The Bridge on the River Kwai ever did. – Henry Fonda always regarded 12 Angry Men as one of the best three films he ever made. The other two were The Grapes of Wrath and The Ox-Bow Incident. 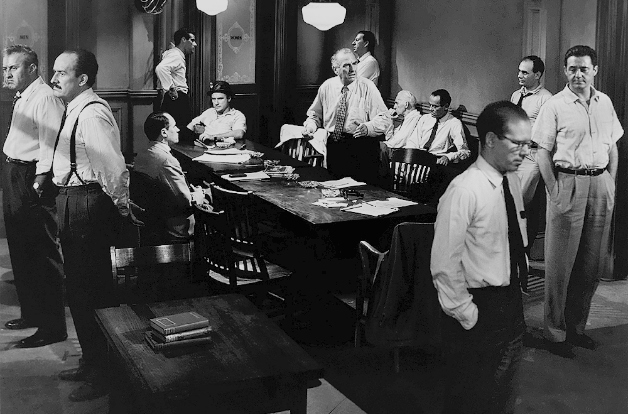 – These days, 12 Angry Men is commonly used in business schools and workshops to illustrate team dynamics and conflict resolution techniques. Best Foreign Actor – Henry Fonda – 1958 British Academy of Film and Television Awards . Best Written American Drama – Reginald Rose – 1958 Writers Guild of America. Best Picture – 12 Angry Men – 1958 Academy Awards of Motion Pictures Arts and Sciences. Best Director – Sidney Lumet – 1958 Academy Awards of Motion Pictures Arts and Sciences. Best Writing – Reginald Rose – 1958 Academy Awards of Motion Pictures Arts and Sciences. 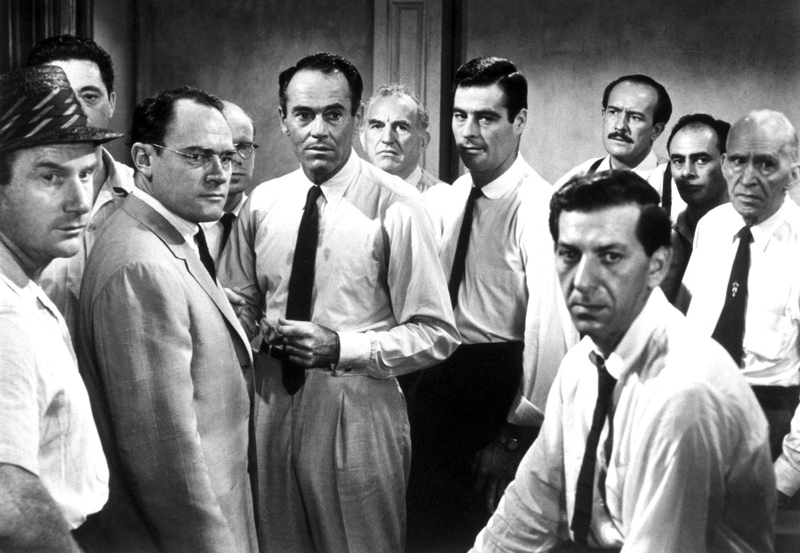 Best Motion Picture Drama – Twelve Angry Men – 1958 Golden Globe Awards. Best Motion Picture Actor – Henry Fonda – 1958 Golden Globe Awards. Best Supporting Actor – Lee J. Cobb – 1958 Golden Globe Awards. Best Motion Picture Director – Sidney Lumet – 1958 Golden Globe Awards. Best Film – Twelve Angry Men – 1958 British Academy of Film and Television Awards. Outstanding Directorial Achievement – Sidney Lumet – Directors Guild of America. Although 12 Angry Men received critical acclaim on its release, it was a box office disappointment. Mostly because of the advent of color and widescreen productions. It was not until it first aired on television that it found its audience and became a public staple. For its time, 12 Angry Men was very daring and political. It gave a behind-closed-doors look at America’s legal system and dealt directly with prejudice. 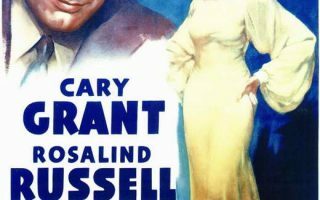 It was also daring in its set-up: the whole film, except for the first three minutes, is set in one room, with the same twelve people, spanning only one afternoon. In that way, it was probably ahead of its time. These days, 12 Angry Men is considered a classic that is still very much relevant. It still applies to the American legal system and prejudice in general. 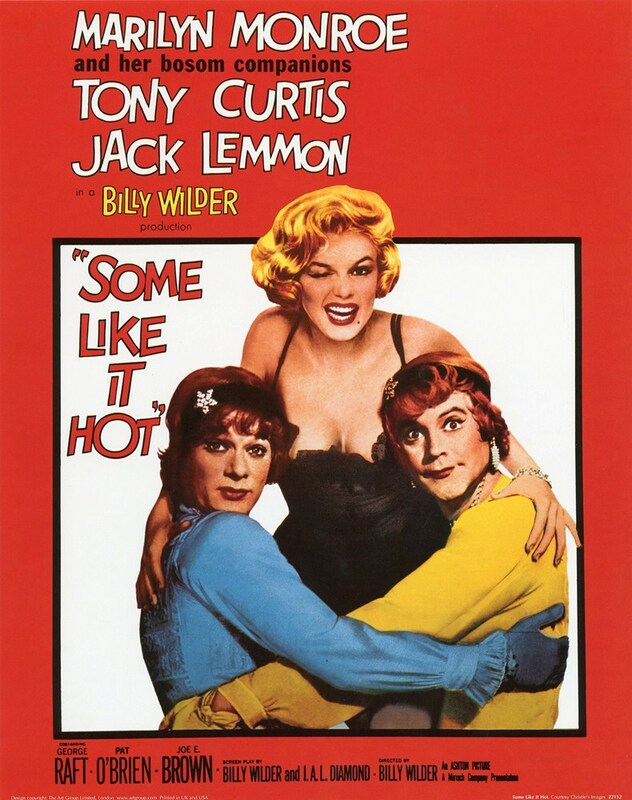 Because of its iconic status, the film is also a beloved subject to parody, in shows such as The Simpsons and Inside Amy Schumer.